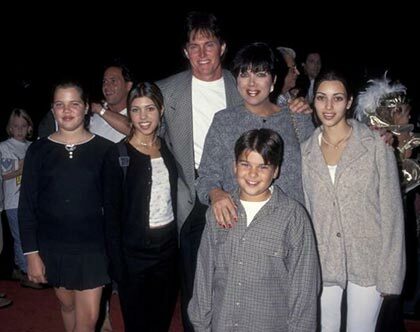 Remember when all the Kardashians and Jenners got on and life was much simpler? Us, too. But now the back-and-forth shade among the three Kardashian sisters, Kris Jenner, and her ex-husband Caitlyn Jenner is at an all-time high. Through a timeline of shade, we look back at what's been going on with America's most famous reality show family. It all starts with the internet-breaking Vanity Fair interview—where she reveals her identity as Caitlyn to the world for the first time. Among the iconic pictures shot by Annie Leibowitz are comments about her relationship with Kris. Firstly, the two disagree on how much Caitlyn had told Kris about her gender identity issues, the fact she had taken female hormones in the 1980s and also dabbled in cross-dressing. She also says the breakdown of their 23-year marriage was down to "20 percent gender and 80 percent [was] the way I was treated." Kris tells the magazine Caitlyn was "miserable" and "pissed off" during the last years of their marriage. On Caitlyn's new E! show, I Am Cait, Khloe is seen visiting Caitlyn where she takes issue with her comments about Kris. Caitlyn tells Khloe sent her "tough" text messages, to which Khloe responds: "I said we don't care what you're doing. We want to be there and support you but we don't think that entails you speaking negatively about my mom. In our opinion, you don't even need to mention my mom. Let's focus on the actual cause here and not drag my mom through the mud." Season 10 of Keeping up with the Kardashians shows Kris' reaction to the Vanity Fair interview and she is, shall we say, more explicit with her wording. "He can go f*** himself," she cries down the phone to a deadpan Kim. "I honestly wish I never met this man. I mean, just f*** you, Bruce." Kim tells the camera: "All Caitlyn can talk about is that my mom mistreated her and was awful and all these really rude things when there's no reason to bash my mom." Khloe appears on The Ellen Degeneres Show saying she had a particularly hard time accepting Caitlyn's transition because she found out on camera. "We kept asking him, 'Bruce, like what's going on? We're hearing all these rumors?' and he kept telling us one thing but really he knew he was transitioning and wouldn't be honest with us. Khloe appears on the Howard Stern Show where she is very candid about a whole lot of things, including Caitlyn. Since she found out about Caitlyn's transition at the same time that "business people" knew, despite repeatedly asking her whether the rumors about her transgender identity were true, she says she felt "betrayed." "We felt so like, 'what the f***? We've been asking you and why do business people know?' I never want someone to feel like they have a one-up on our family. We are a family. We've never turned our backs on each other yet with all the clusterf***s of s*** that's happened in our lives, why would we now? "I don't give a f*** what you want to do—just stop lying to us about things. Just lay it on the table, what are we doing? What's happening? Even then he didn't tell us. We didn't know when he was going to start fully dressing as Caitlyn." It later turns out that Caitlyn was not ok with what Khloe said on Howard Stern, as was revealed on the season 12 premiere of KUWTK. "I said, 'You slaughtered my mother and you have the nerve to say, 'What happened to family sticking together?' You jumped that ship as soon as you did Diane Sawyer and attacked my mom.' and instead, [she] tells me to 'get a life' and 'shut up' and I'm like, 'you shut up and you get a f***ing life. "She can tell me to f*** off all she wants. I don't have a relationship with her. I'm done." Later in the episode, Kris is seen on the phone to Caitlyn trying to sort out the drama. "She's out there talking s*** about me," Caitlyn vents to Kris about Khloe (bear with us). "I don't want her talking about me, ok? You don't go on Howard Stern and call me a liar." Caitlyn spends Father's Day with her youngest daughter Kylie watching basketball games. All seems well until she takes to Snapchat to joke about why Kylie is her favorite daughter. "Why, because it's Father's Day and she's the only one that invited me over," she tells her followers. According to Mail Online, Kim later said the rumors that all the siblings had abandoned Caitlyn on Father's Day were not true and that she had actually invited her to brunch. Kris and Kim have an almighty row on KUWTK when Kris finds out that her daughter helped Caitlyn get ready for the ESPY awards in July 2016. When Kim tells her mother she wanted to stay neutral between the estranged couple, Kris yells: "I want loyalty. I don't want f***ing neutral. I'm trying to be as gracious as I can, I'm trying to be as understanding as I can. I'm betrayed. I've been f***ed over on so many levels that your head would spin." Things well and truly kick off when Caitlyn Jenner's tell-all book The Secrets of My Life is released. Caitlyn says Kris had control over all the money the couple made from the show. Apparently, it was Caitlyn who came up with the idea of the show, not Kris. Ouch. She says Kendall is the most down-to-earth of all the girls. 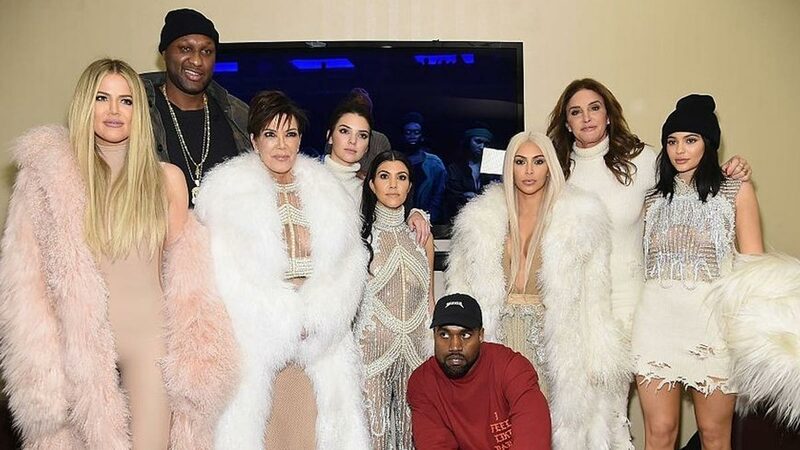 The Kardashians were not largely included in the Diane Sawyer documentary—which saw Caitlyn come out as transgender for the first time—because "research shows that whenever a Kardashian is on television, many in the public tend to think it is a publicity stunt to make money." Eek. The Kardashians read the memoir and are not at all happy. 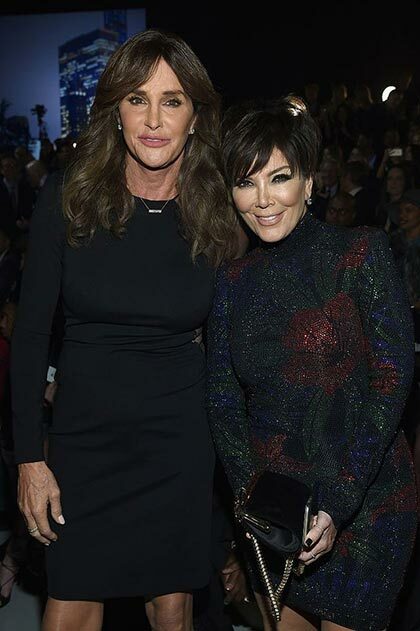 In an episode of KUWTK Kris claims: "Everything that she says is made up" and claims the only nice thing Caitlyn had to say about her is that she's great at parties. "I've never been so angry [at] and disappointed in somebody in my whole life," Kris vented. Appearing on Late Night with Seth Meyers to promote the book, the co-author Buzz Bissinger responds, saying: "Kris is full of s***." Later in the month, Kim wades in telling The Ellen DeGeneres Show Caitlyn was not honest in the book about certain things to do with her mother. "It's taken her a really long time to be honest with herself so I don't expect her to be honest with my mom now. It's just so hurtful. I wish her all the success in the world but not at our expense," she says. Caitlyn also does another show with Diane Sawyer, where she says: "Some [of my children] I have remained very close to. A couple of them... I'm a little more distant. I have to admit, I'll sit here and wonder, 'Is it because of my transitioning? Or is it because their life is so busy that they don't call, like all the time?' Nobody calls that much. I mostly reach out to them. Obviously, the Jenner side calls more, but they have their own lives." Kim appears on "Plead the Fifth" on Watch What Happens Live where Andy Cohen asks her the chances of Kris and Caitlyn ever speaking again. "Zero, one, no, two percent and those are Kendall and Kylie. All fair, I think," she said casually. On KUWTK later in the month, Kim tells Kourtney that, in her book, Caitlyn is "so angry with mom for no reason." Kourtney chimes in on Caitlyn's claim that the Kardashians were excluded from the Diane Sawyer documentary because the name is associated with publicity stunts, adding: "That sounds pathetic." For the first time, Caitlyn's daughter Kendall also wades in on the book on KUWTK where she's seen slamming the table in frustration. "I spoke to Kim about Dad's book and heard about all the stuff she was saying in it and how a lot of it is so not true," Kendall tells her mom Kris. "The weird part is I don't think it's purposeful lying, I think she really just thinks that's what happened and then she goes around dissing the Kardashians but those are the kids that you raised, if you have a problem with them you raised them. "It makes no sense to me that she would go around bashing them for no reason, that's insane." Kris calls the book a "fabrication" a few times, too. Kim is also back again on the book, saying she has "no respect" for Caitlyn anymore. In an interview with The Hollywood Reporter, Kris rebukes the claim that it was Caitlyn who came up with the premise for the reality show that made the family the superstars they are today. "It's so absurd," Kris says. "I'm not sure what the motivation was for her to say something like that. Maybe somebody should remind her it's called Keeping up with the Kardashians." In the premiere of season 14 of KUWTK, Kim takes aim with another part of Caitlyn's book which suggested that her dad—the late Robert Kardashian who defended his friend OJ Simpson in the infamous 1992 murder trial—at one point believed OJ to be guilty. "I have always had Caitlyn's back," Kim says. "She is a liar. She is not a good person." Caitlyn then tells Good Morning Britain that she and Kim have not spoken in nine months. "I love Kim so much, it's such a huge loss in my life not having her there anymore," she tells Piers Morgan and Susanna Reid. "It's really sad." She adds that "the Kardashians, particularly Kris, didn't react that way [being proud of her book] even though I went overboard to be nice and friendly". The Kardashian siblings continue airing their thoughts on Caitlyn's book on KUWTK when Kim finds out about Caitlyn's gender reassignment surgery through the media. Khloe does not hold back with her comments—while on a private jet flying to Cleveland (as they do)—claiming that Caitlyn plays the victim. "I'm the victim, I'm the victim, they don't want to see me. Oh f*** off and it's not because you're trans," Khloe vents. "That's not why I'm not talking to you. I'm not talking to you because you're a bad, mean person." Which brings us to Caitlyn's Jenner's most recent comments during a talk at Cambridge University's union. "It's been a little bit tough over the last couple of years on the Kardashian side," she says—which, in light of the above, is a bit of an understatement. She says she hasn't spoken to Kim in over a year and other recent reports in The Sun claim she hasn't talked to Khloe in two years. "They don't want me in their lives, they bashed me pretty badly. It's devastating when your kids do that. It really hurt. In the book, I express some opinions and got shot down. It was not about the Kardashians. They were only mentioned on 20 pages. They made it more about them on television. The book was about my life. That's caused a lot of the separation between us."